How bad is your problem?" 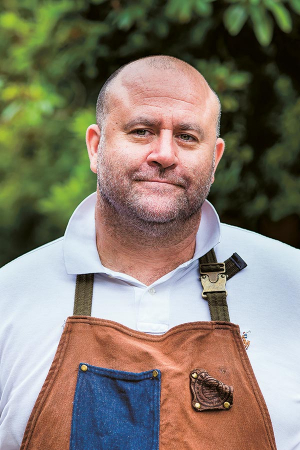 Richard H Turner – chef, butcher and author of beef cookbook Prime – grins at Stevie Parle over a beer squeezed into the calm before service at the Dock Kitchen. The chef, founder and owner of this restaurant and several beloved others raises his hands in answer. "God knows. They're everywhere. On chairs, on the floor, by my bed…" he trails off hopelessly, then chuckles. "The thing is, I've only a hundred or so that I use. The other 1,200 or so I don't even look at." Nevertheless, he continues to buy cookbooks at the rate – at least up until he stopped Amazon Prime recently – of about two or three a week. It's why we're here – or at least, it's one of the reasons why we're here in the Dock Kitchen, on the eve of Parle's monthly cookbook club. 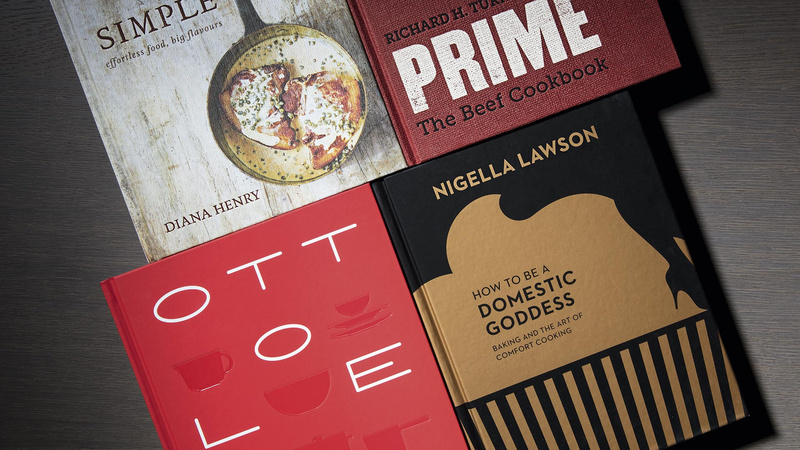 Cookbooks are big news for publishing right now: food and drink represents the single biggest category in non-fiction, and last year accounted for £90m worth of sales. 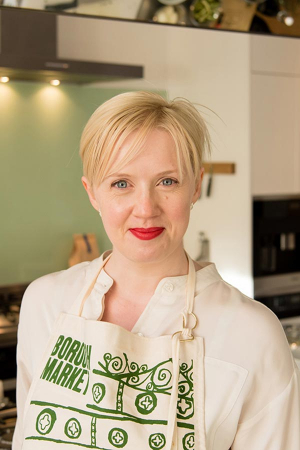 I gleaned this from Stephanie Jackson, the director of Octopus Publishing, when she came to talk about cookbooks in Borough Market for their panel discussion Read, Cook, Live: the ingredients of a cookbook. The market also has a cookbook club, hosted by Angela Clutton, who moderated the panel discussion – because as Turner's habit demonstrates, there's more to cookbooks than simply a collection of recipes and a snappy name. There's the writing style; the luscious (or not) food photography; the presence or absence of celebrity; and those dreaded words 'diet' and 'clean'. There's whether the recipes work or not – not just on a practical level, but as engagement and inspiration to the reader to simply cook more. It's to this end that a spread of cookbook clubs have sprung up across the city and further afield: to digest the books that we are devouring, if not quite at Turner's rate, at least on an unprecedented scale. "What matters to me is that people leave this club feeling they want to cook from books more, that they want to push themselves a bit. 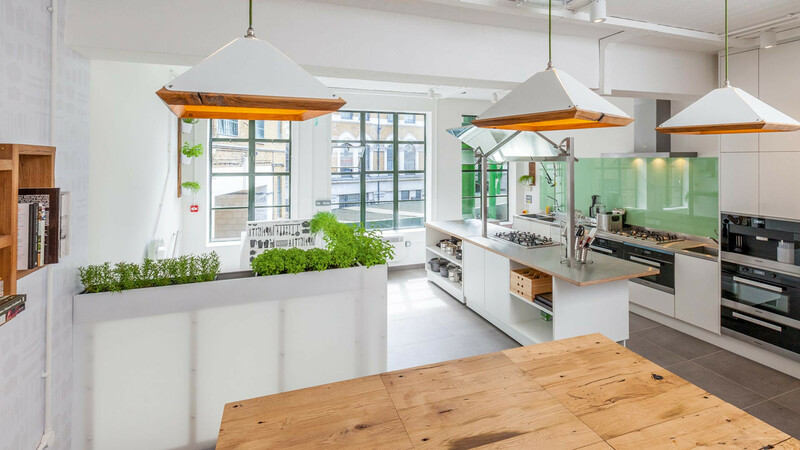 I think that's what all cookbook clubs should do," Clutton tells me. "Encourage people to carry on." At Borough Market, the cookbook club members all bring a dish, from a specific book, to the Market's Cookhouse. Any last-minute prep is done by Clutton, and the members present each dish and their experience of cooking it before proceeding to feast. At Stevie Parle's club his kitchen cook the recipes, and the author comes along to help cook, and to speak to customers, if they choose. 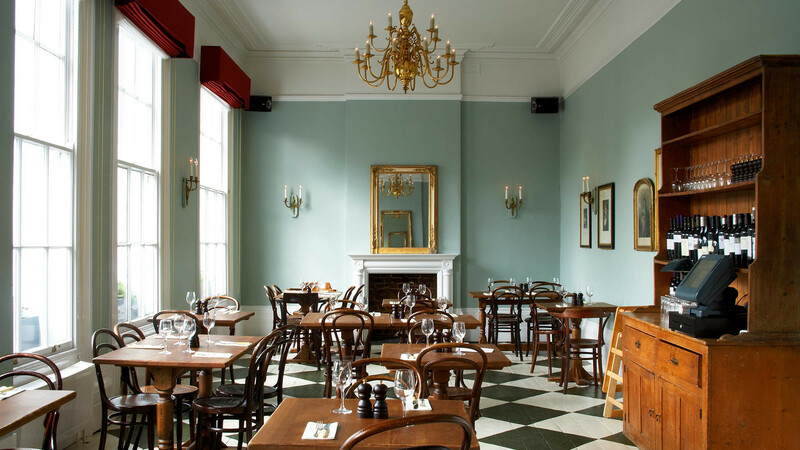 Food writer Thane Prince's Cookbook Club is different again: her members bring a tenner each month to The Drapers Arms in Islington and a dish if they want to. Members cook from a chosen book – in which case Prince will get the author along for a brief Q&A session – or along a particular theme (eggs, flowers and leaves, 'the book I use most' being among past examples) but it's not compulsory, says Prince: "People don't always have time or money to cook, and that's fine: they can just come and enjoy the food and conversation." Yet all of them, from Maida Vale to the Yorkshire Dales – where Lynn Hill runs an online cookbook club – subscribe to Clutton's philosophy that cookbooks should be more than aspirational volumes kept pristine on a shelf. "We're trying to encourage people to actually cook from a new cookbook, rather than see it as something pretty with pictures," she continues. "It's a hit if a reader takes three recipes into their repertoire. That's what publishers tell us," says Turner – which makes Prime's prospects look promising. That night Parle and the Dock Kitchen team will dish up five recipes from the book to what sounds like (from the satisfied noises I overhear from fellow diners) pretty unanimous praise. "That was spectacular," declares one diner upon polishing off his charcoal-grilled highland steak with stilton hollandaise. "I want to make that." Those who don't have the book already invariably buy it upon leaving, congratulating Turner. Yet the phenomena of cookbook clubs has been fuelled by far more than a quest for publicity on behalf of authors or their foodie friends. "It's nice for the author, if they have a new book out and are doing publicity anyway – but it's nice for our crowd because they discover new books and recipes," says Parle. What better way to discover a cookbook than to taste it, and from a critically acclaimed kitchen, too? "We have generally done food writers whose food you can't taste, unless you cook it – because chefs are different from food writers. They write for themselves, to show off," he continues, with alarming honesty. "Food writers write to make people happy." Diana Henry is a prime example. 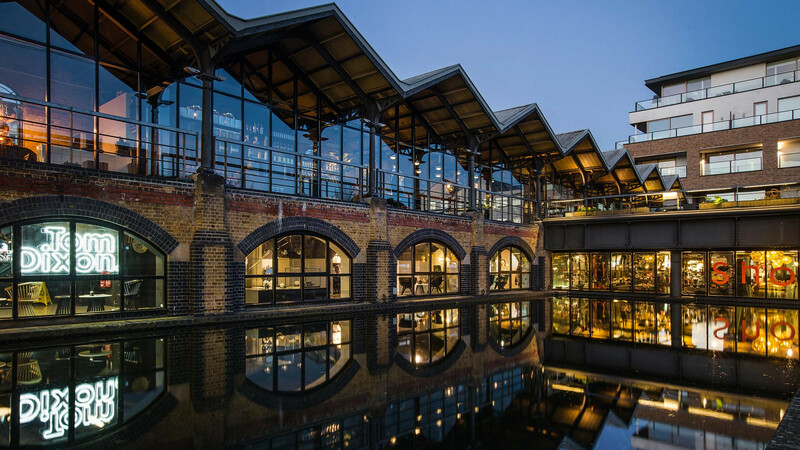 Indeed her latest book Simple has been the subject of both Borough Market's club and the Dock Kitchen's. "She is an actual genius," Turner says simply, echoing the sentiment of everyone who has been lucky enough to sample Diana's recipes. Her name attracted a lot of followers. But for most it's the spirit of a cookbook club – of sharing food with like-minded people – that draws them rather than any specific title or name. "We wanted to do something foodie and wanted to do something within the community." That was the inspiration behind the Walthamstow Cookbook Club a few years ago when Jules Hayley and her partner found their local area had become something of a magnet for London homeowners. "We already wrote a blog called Walthamstow for Foodies, so it seemed a natural progression to do something around food. Food is a connector," she enthuses. "When I went to Thane Prince's club in Islington that was a catalyst, seeing how well that worked." Being in North London they had a wealth of different nationalities living nearby, a richness reflected in the various food shops. "You can get absolutely anything here. Peruvian sugars, Slovakian spirits," she laughs – but it's the people who, with their food, their stories and their enthusiasm for cooking and feeding, have made each meeting a culinary and cultural journey with which even the most authentic ethnic restaurant would struggle to compete. "We have a Brazilian, an Ecuadorian, an Italian," she lists. "Sometimes we make the theme their cuisine, and they will go all out – like it's their time to show off. They bring not just one but four dishes because they want to demonstrate the food of their homeland. It's lovely to see." Like Prince's club, Hayley's posse meet in a local pub, and bring a dish each. "We have a table for savouries, a table for desserts, then people stand around the table and introduce their food and explain what it means to them." Their accounts, and the subsequent discussions among the group can range anywhere from holidays abroad to childhood memories. The books are just the beginning, says Prince – who is arguably the godmother of cookbook clubs in London having set hers up four years ago, long before the others. "I moved back to London from where I was working in a cookery school in Suffolk, and I missed interacting with people who liked talking about food. I wanted something for people who just care a lot and want to talk about recipes, why they work, their inspiration and memories of cooking." She called it a cookbook club "because that was the easiest way to put a handle on it," she continues, "but the object really was to gather people in a room and let them talk food." The fact that there is a book or theme, as there usually is at Thane Prince's and Hayley's clubs, gets the juices going – as does the wine, and the act of feasting. "I think there is something about the communality of all bringing something and sharing," says Clutton. "You get a special feeling knowing you're all in the same boat." When I arrive at Borough's Cookhouse, clutching my takeaway box of 'fish and caper kebabs with burnt aubergine and lemon pickle' for their Ottolenghi's Jerusalem evening I understand exactly what she means. It is nerve-wracking. The anxiety of presenting your food to a professional food writer and a group of people you may not know is mitigated only by the fact everyone else there had to face the same fear. All shared the sort of challenges we'd faced in the process of cooking Ottolenghi's food: the hunt for barberries and kaffir limes, the degrees of burning aubergine, and sheer quantities of tahini. We swap tips, and criticisms. One man, dismayed at the stash of leftover herbs he now has left after the 23g the recipe demanded, is advised by a woman to "chuck it in the food processor with salt and oil and make pesto – then use that in recipes in future." Another member takes me through how to burn an aubergine without sending the smoke alarm keening. "There's no pressure," says Clutton – a phrase I will hear repeated by everyone running a cookbook club apart from Parle, who has a restaurant to feed. "Everyone's very respectful and supportive of one another, and very frank about their experience of cooking." They aren't competitions – nor are they supper clubs, where people tend to come in groups and not mingle. At Borough, places are offered to all club members on a first-come-first-served basis, with a limited number of spaces reserved solely for residents of SE1. Prince and Hayley in turn ensure newcomers are warmly welcomed, and that everyone gets chance to speak. "Of course some people do talk more than other others – but in that case I will say, 'right, stop talking now, let's go on to someone else.' I am deeply committed to the idea that this is a positive experience." Most members see it as an opportunity to develop their cooking skills in an environment where everyone is likely turning their hand to a new recipe. "I've had a couple of mums saying they feel they can push themselves do something outside of their 'mum cooking' comfort zone," says Clutton: inspired by the book, and by the sight and tastes of other members cooking. "Some dishes are magnificent," – professional foodies have been known to attend both Prince's and Clutton's club – "and some not so good. It doesn't matter. The point is sharing together." "I think it is less pressurised than a supper club," says Hayley. "It's not to make money, and everyone only has responsibility for their dish." Some people slave for hours: "We have members take the day off work, or arrive two hours late because they were 'just finishing' something. One woman spent all day on a pavlova, and had such a disaster with it she had to keep starting again. But she got there." Others might just bring a salad, which they can stash under their desk at work during the day. "Life is difficult," says Thane simply. This is supposed to be an evening once a month which is simply stress free." For some people this is all too true. "One lady who comes cares for her very ill elderly father, and has made a pact with her brother that if she gets a space, he'll drop whatever plans he has to cover for her. This is what she does for escape," says Clutton. Another has a very intense, high-powered job and revels in a discussion which is resolutely work-free. In stressful lives, the cookbook club acts as a welcome distraction: an oasis for those who find solace in slaving over a hot stove and sharing the spoils. "I rarely hear that London thing of people saying 'oh, what do you do?'" observes Clutton. The cookbook, or books, act as a springboard for all sorts of subjects – not least the particular culture or society that book might represent. "I love what cookbooks tell you about a time, a place, social issues," continues Clutton, citing Nigella Lawson's Domestic Goddess (1998) and Mrs Beeton's Book of Household Management (1861) as examples. Sure enough, when it comes to the Jerusalem evening, we enjoy a lively discussion at Borough Market about how Ottloenghi's recipe collection completely encapsulates that city. For members of Lynn Hill's virtual Clandestine Cake book club, in which members cook from a given baking book and send pictures in for the forum once a month, it is the cooking alone that provides comfort: "people do suffer from anxiety and such things, and might be more comfortable sharing online than meeting up. This way they don't have the fear of presenting something in front of lots of other people, but they feel involved and are encouraged to try new recipes." There is, Hill points out, an element of showing off when it comes to baking. "I think all people like to show what they've created, even if it's just on an online forum." As The Great British Bake Off powerfully proved, more than any other type of cooking, baking is something we do for others – to see, at least, if not to eat. In fact, Hill is better known for her 'IRL' Clandestine Cake Club, featured on Radio 4's Food Programme last year. There, members bring along a cake – "a whole cake, not muffins or cupcakes, so that you have to share it" – and share slices and baking stories over a cup of tea. Some come who are aspiring GBBO contestants (readers may remember Dorret, the contestant whose black forest gateau collapsed live a few years ago); others, because they love baking, but live on their own and have no one really to bake for. Today the club has numerous local branches, as well as its online presence – but its ethos remains unchanged. "There is an art to baking a good cake, and when you have the chance to share what you have made with others, even if it is just a photograph and a description online, it gives many people the lift that they need." "It feels like a community," Clutton reflects. In a world – or at least a city – where neighbourliness can be thin on the ground, this in itself seems an achievement. "For those who've just moved to Islington, joining something like the cookbook club would be a great way of meeting people in the area," Prince tells me. Through reading, cooking and sharing, people in Southwark, Islington, Walthamstow and beyond have got to know each other, sharing cookbooks, and meeting up outside the club of their own accord. "It is a wonderful thing that happens: how the simple honesty of making food for strangers just breaks down barriers. It's an extraordinary display of – camaraderie, really, for this adventure that everyone is on," concludes Clutton: and with as many cookbooks as Parle and Turner own, and Octopus are publishing, this adventure shows no sign of slowing.